Struggling for space amidst high demand for their plastic fabrication products and services, Burnetts were coping by using a 3PL provider. However, although this was an enabler to business growth, they were suffering from the high cost and inconvenience of managing their stock off site. 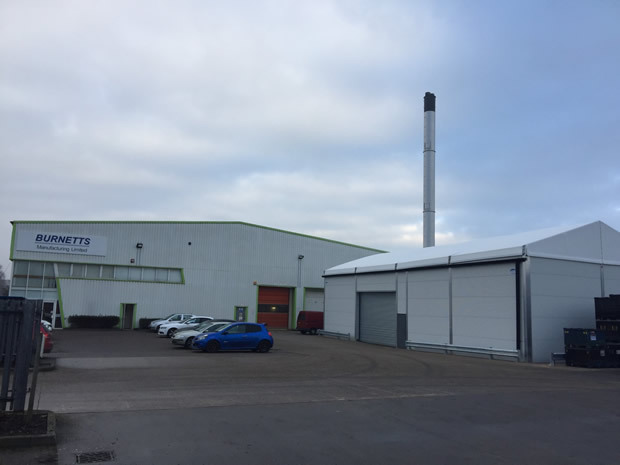 Two Aganto temporary buildings, one 15m wide x 20m long x 5.2m eave height insulated and linked to their existing warehouse; and the second, 10m wide x 20m long x 5.2m eave height also insulated were installed. The Aganto temporary building brought everything back in-house and on-site. The buildings were installed in days onto the existing concrete surface and Burnetts are now able to react more quickly to their customer demands and at a greatly reduced cost.